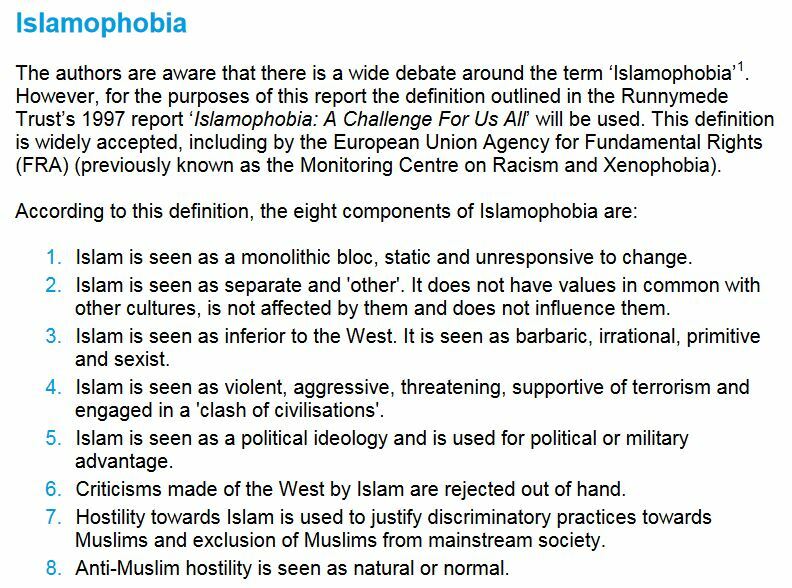 So, if you believe Islam is inferior to Christianity; or that Islamic society and culture are inferior to “the West”, you may be arrested for Islamophobia. If you believe Islam is “sexist”, you may be arrested for Islamophobia. If you believe Islam is “violent” or “aggressive”, you may be arrested for Islamophobia. 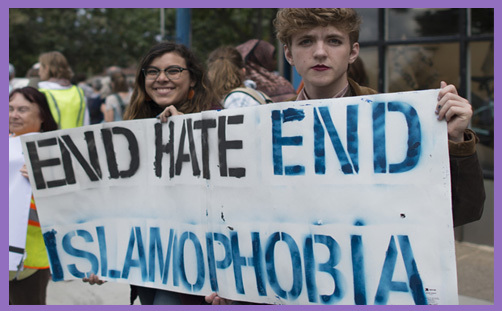 Astonishingly, if you believe Islam to be an expression of political ideology (or is used for “political advantage”), you may be arrested for Islamophobia. The Met police appear to be oblivious of what’s been going on in Tower Hamlets. Do not all religions agitate for political advantage? Why should it be Islamophobic to point out specific examples of Muslims doing so? Is Pope Emeritus Benedict guilty of Islamophobia? He proclaimed in his Regensburg lecture ‘Faith, Reason and the University — Memories and Reflections‘: “Show me just what Mohammed brought that was new, and there you will find things only evil and inhuman, such as his command to spread by the sword the faith he preached.” He may have been quoting Byzantine Emperor Manuel II, but might not that simply be a way of circumventing charges of blasphemy or of deflecting disapprobation? Is quoting Tom Holland on this blog not simply a vicarious device for making heartfelt Islamophobic statements while leaving him to deal with the death threats and visits from PC Plod? Is it ‘hate speech’ or a ‘hate crime’ to highlight the hate speech in the Quran? Is this blog post Islamophobic? Perhaps it merits a police investigation.